Limousines are among the most popular vehicles available for hire, since they're frequently rented to celebrate graduations, weddings, and birthdays. Unfortunately, those celebrations can quickly turn to tragedy in the event of a collision. The immense size and weight of a limousine can cause severe injuries, and even death. Lack of maintenance and repairs. Every limo company has a responsibility to ensure their vehicles are properly maintained and repaired. Failure of the steering system, brakes, tires, or other critical components can lead to a serious collision. Improper hiring or training. 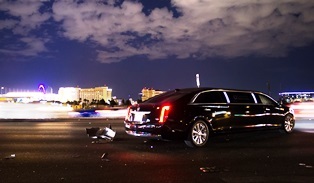 A limousine company may be held legally responsible for hiring an unqualified driver, or failing to provide proper training, when that driver causes an accident. ○ Fatigue. Limo operators often have demanding schedules and work long hours, leading to severe fatigue and falling asleep at the wheel. ○ Aggressive driving. A limousine driver who speeds, fails to check blind spots before changing lanes, or ignores traffic signals can cause serious accidents. ○ Driving under the influence. As with any other motorist, limo drivers operating under the influence of drugs or alcohol endanger everyone else on the road. ○ Distracted driving. Limo operators may be distracted by their smartphones, other electronic devices, or noisy passengers. If you were injured in a collision with a limousine, you may be entitled to compensation from the limousine company and its driver. This may include damages for medical bills, lost wages, and pain and suffering. You need an attorney who is prepared to fight and help you receive the compensation you deserve. To learn more about what the law offices of Steve M. Lee, P.C., can do for you, visit us on Facebook.